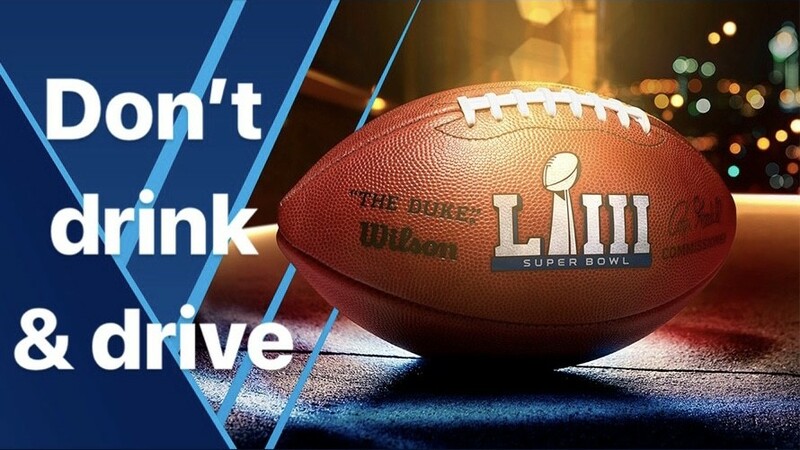 Azusa, Calif. – The Azusa Police Department is encouraging all football fans to celebrate Super Bowl LIII responsibly by not driving impaired, or letting other fans get behind the wheel when they shouldn't. In an effort to flag those who choose to drive impaired, the Azusa Police Department will increase patrols Super Bowl Sunday (Feb. 3), adding additional officers to look for drivers suspected of driving under the influence of alcohol and/or drugs. According to Azusa Police Lieutenant Robert Landeros, "Millions of Americans will be enjoying the Super Bowl festivities and it is important that we remind our family members and friends to pick a designated driver." The Azusa Police Department reminds drivers that "DUI Doesn't Just Mean Booze." If you take prescription drugs, particularly those with a driving or operating machinery warning on the label, you might be impaired enough to get a DUI. Marijuana can also be impairing, especially in combination with alcohol or other drugs, and can result in a DUI. If you're hosting a party, be a team player and have plenty of snacks and non-alcoholic drinks available for designated sober drivers. Be sure to monitor who is drinking and how they are getting home. If you plan to drink, don't plan to drive. Even one drink can be one too many so have your sober friend be the "MVP" and get you home, use ride-share or take public transportation. Anyone who sees a drunk driver should call 911.